Is ranked joint 6075th with 58 other trigs (more). Signs of repair. Still a few loose stones. In fenced enclosure. Been graffiti'd. love an old monmt with a story. just who did do Bella? Fenced although looks sound. From NW including the Wychbury Hill P30 summit. 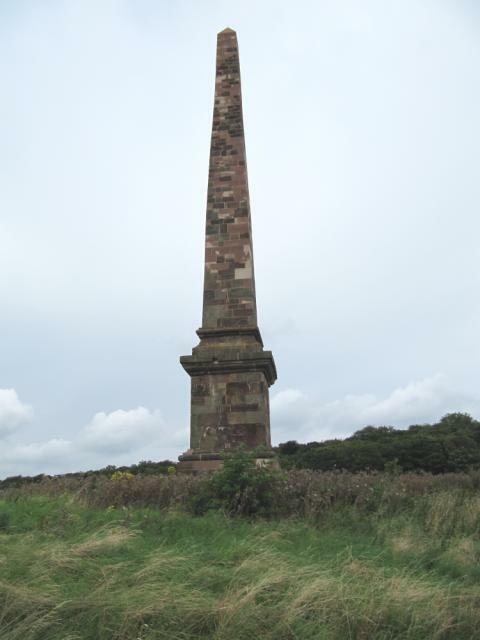 An obelisk on the Hagley Hall estate, refurbished by the current Lord Cobham in the last two years after being in a state of near collapse for decades. Great gathering point for sledging in the winter! Obelisk at hilltop, just inside Worcestershire county boundary. Monument spoiled by graffiti and surrounded by a tall fence. OK views.